The Libertines are excited to announce the launch of Sharabang, which sees the band hijacking the Sunday (9th September) at the already established ‘Wheels and Fins’ festival (Joss Bay Beach, Broadstairs). This is the first ever Libertines Festival which will hopefully become a regular happening. In its sixth year, ‘Wheels and Fins Festival’ is an independent, music and action sports festival overlooking the ocean at Kent’s beautiful Joss Bay Beach. Located under 90 minutes from Central London, the festival runs from Friday 7th to Sunday 9th September. This year the event takes on a new festival site and sees over 80 live acts across 3 stages with headliners including The Libertines, Feeder, Faithless (DJ set), Example and DJ Wire, Sub Focus and High Contrast. With high production values throughout, the UK Mini Ramp Championships and camping and glamping options available, Wheels and Fins Festival 2018 is set to elevate this once local event onto the international festival circuit. Named after the notorious smuggler Joss Snelling, Joss Bay beach in Broadstairs, offers one of the finest sandy beaches within an easy commute from all over the South East. The Libertines are Peter Doherty – vocals/guitar, Carl Barât – vocals/guitar, John Hassall – bass guitar and Gary Powell – drums. We had a little time to spare so joined our friends at the Tim Peaks sauna for a right royal knees up ! This is the first of our "For One Month Only" shirts. 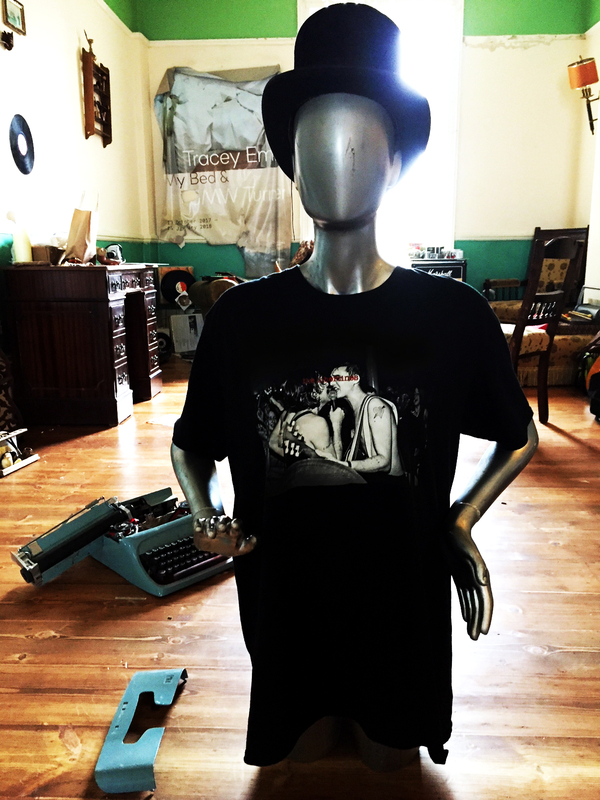 (this shirt will only be available here and for one month) Designed and shot by Roger Sargent - it's from one of the bands legendary Duke Of Clarence pub shows. Perhaps you were there amongst the heaving throng! If so let us know as Roger can't remember the date.